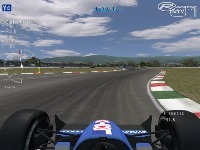 - all 31 cars (18 Teams) are included, so you need to set opponents:30 to have a full grid. Big Thanks to Montesky that have done the complete soundpack. Model of the F1 was really old from the 1988 that was the very first six speed professional using car has been assembled. Included to complete sound back of the https://marvelous-reviews.com/...aper-writing-services/ website will be also have the old of the racing system. Cool mod, F1 2014 I can't wait Turbo, ERS this is going to be an exciting season! Csicska az egész rendszer nem lehet letölteni semit se!! Pleae let me know when the Suzuka 1988 Circuit is out, as I will have to create an installer with the whole mod and its fixes for easy installing. I have modified the Volume of all Audio Files, with the help of Adobe Audition.